Managed to find some time to shoot early yesterday evening, braving the very hot and muggy weather. Glad I did. 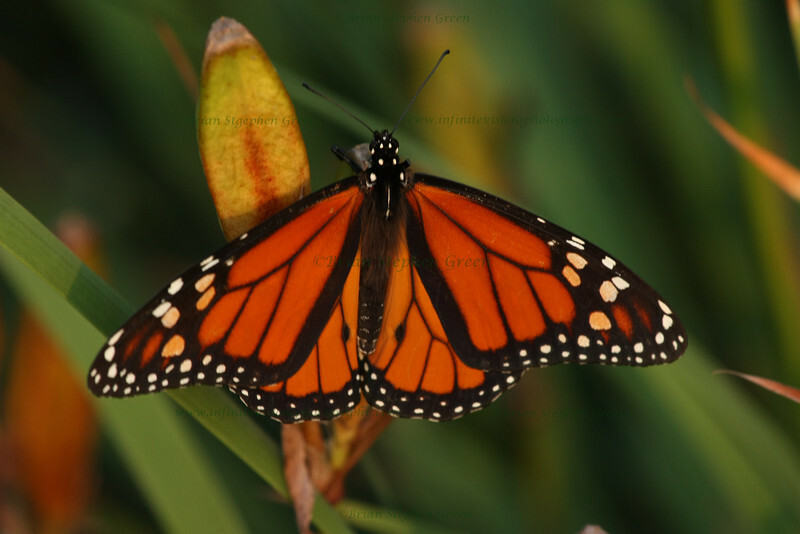 5 minutes on my walk and I already spotted several Monarchs fluttering about. This one seemed to be patiently waiting for the flower to bloom. Thank you all for all the recent comments, especially yesterday's cast shot. My wife was happy :) Have a wonderful day everyone! Stunning, rich colours ..... gorgeous!